Dr. Milane believes in empowering through education and her teaching focus is on active learning. Dr. Milane finds great merit in team based learning (TBL) as the application step (depending on design) can demand higher thinking and integration of concepts with basic recall knowledge. Dr. Milane has designed multiple team based learning sessions and, as of late, has become a proponent of graded peer evaluation. The grade is the currency (investment incentive) for the student and the peer evaluation offers a level of accountability (checks and balances) and opportunity to practice professionalism. Dr. Milane also enjoys developing and implementing online courses and modules and is invested in the effective E-learning process. 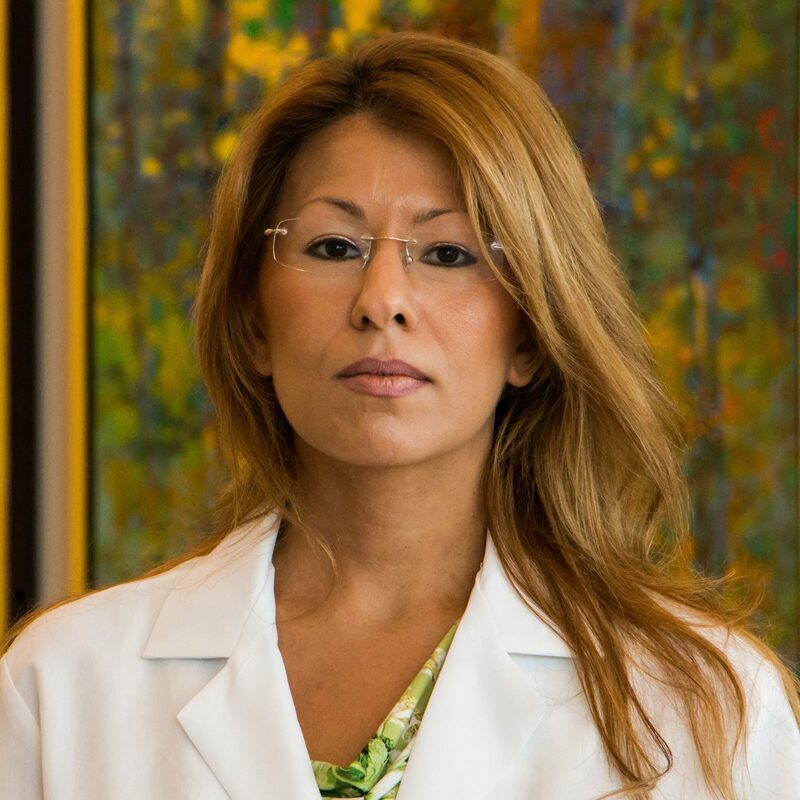 Dr. Milane is a dynamic educator and capable of teaching through online content, didactic lecturing, and team based sessions. Dr. Milane has used Articulate’s™ Storyline to develop multiple online courses and flipped classroom modules for cancer biology and therapeutics, pharmacokinetics, and core concepts in pharmaceutical science. 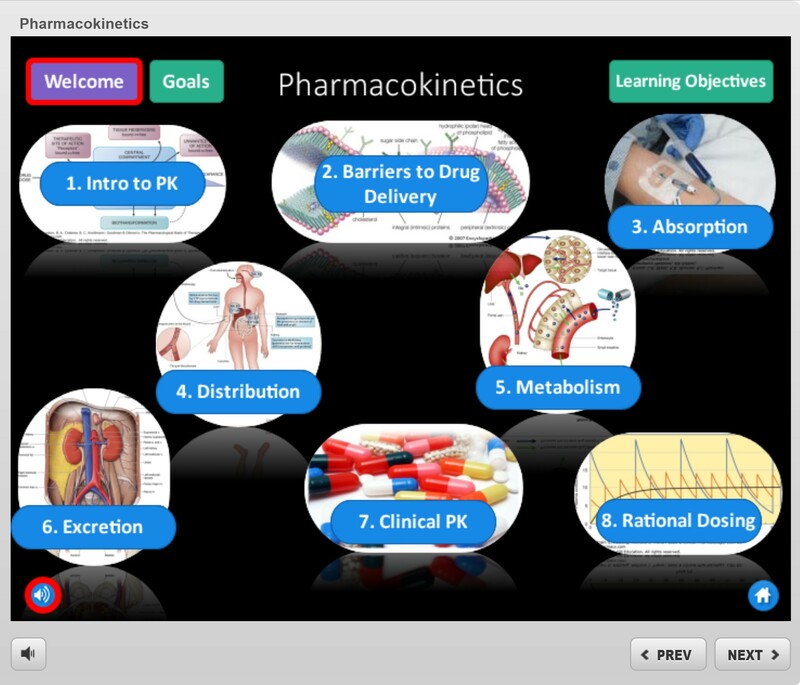 This image above is from a flipped online module (Storyline) that Dr. Milane developed for teaching pharmacokinetics. Dr. Milane is currently using Articulate’s™ new product, Rise, to develop mobile friendly content, including a module on antineoplastics and a pharmacodynamics module. Dr. Milane is excited to develop content using a platform that is compatible with most cell phones and devices. Dr. Milane also enjoys traditional lecturing. During these didactic sessions, Dr. Milane engages students through dialog and direction questioning and often ties core concepts to memorable controversies or debates. Dr. Milane also develops themes and mnemonics to help students retain core concepts and connects these themes to application questions that demand higher thinking (and active learning) from the students. Dr. Milane has developed classical TBL’s and also incorporates team work into other sessions. Dr. Milane’s pharmacokinetics TBL requires students to evaluate pharmacokinetic parameters by comparing drug insert data for inhalable insulin and injectable insulin formulations. Dr. Milane’s TBL for multidrug resistant microbes involved exploring the global acquisition of colistin resistance in E. coli strains. Beyond classical TBL’s, Dr. Milane also incorporates team work into other sessions such as the Molecular Basis of Cancer she developed with Dr. Selinfreund. 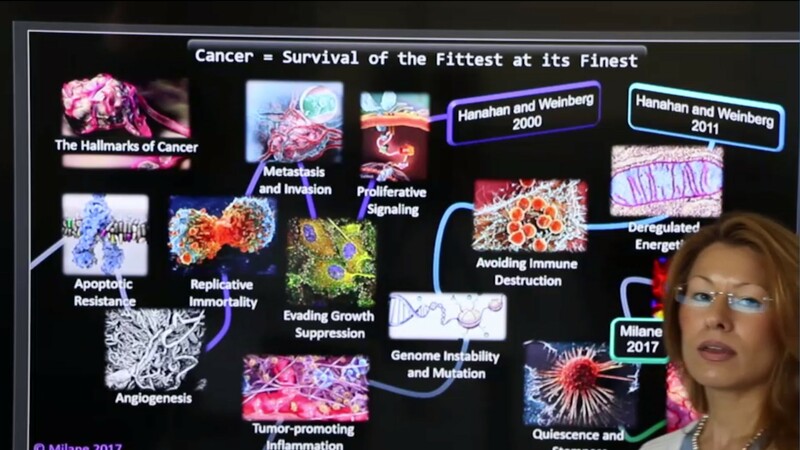 This flipped session required the students to watch 14 pre-recorded videos of Dr. Milane and Dr. Selinfreund discussing the hallmarks of cancer, the in-class session consisted of a team based competition (28 teams of 5-6 students) where two teams at a time were randomly selected along with a randomly selected hallmark of cancer. The two teams were asked a series of questions about the selected hallmark and could respond to the other teams’ comments. This design required each team come to class prepared to present on any/all of the hallmarks. Graded peer evaluation was also used as a measure of accountability for team work, preparation, and professionalism. 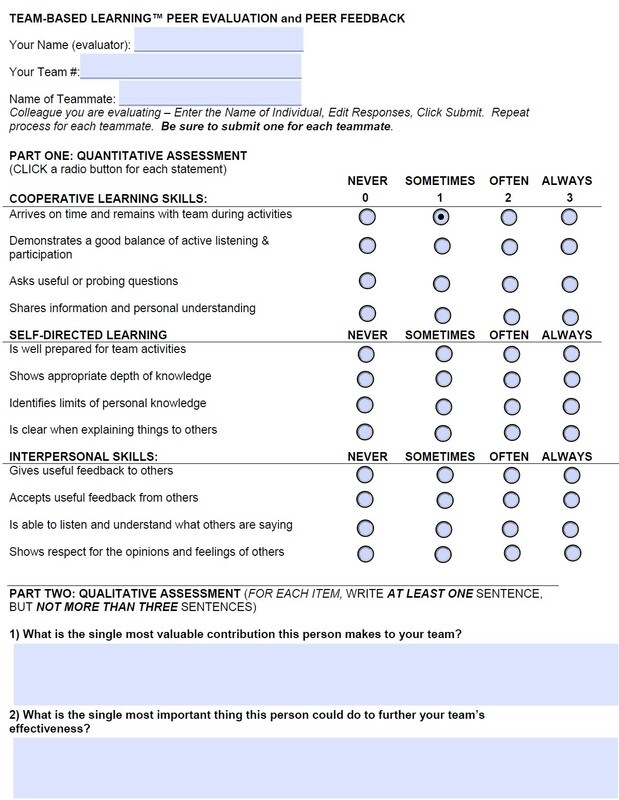 The image is a form (courtesy of a colleague) that has been adapted by Dr. Milane for use in graded peer evaluation and feedback. Graded peer evaluation is a powerful tool for assessing professionalism during team based sessions. Dr. Milane is continually seeking to connect with other scientists and educators and enjoys productive research and teaching collaborations.